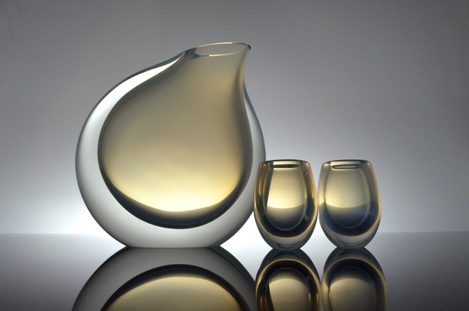 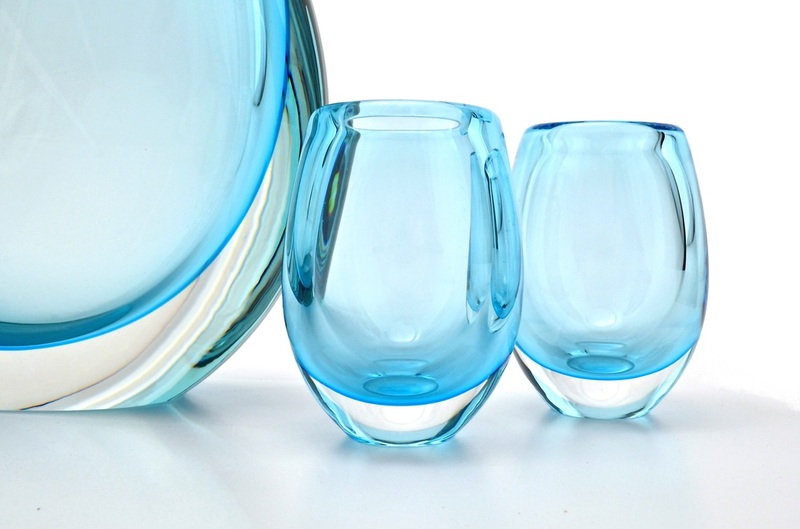 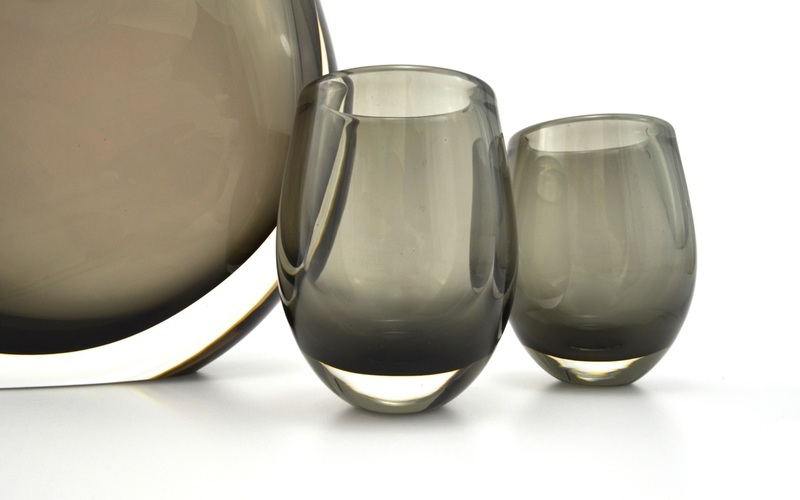 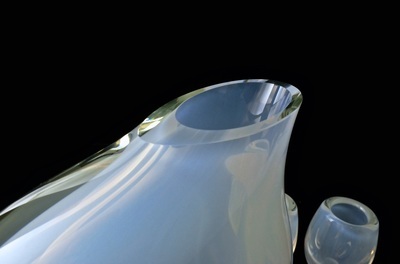 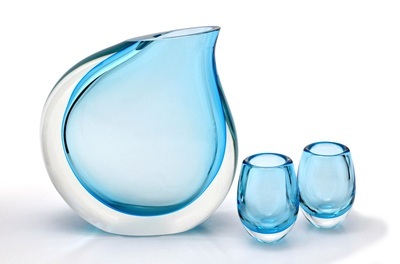 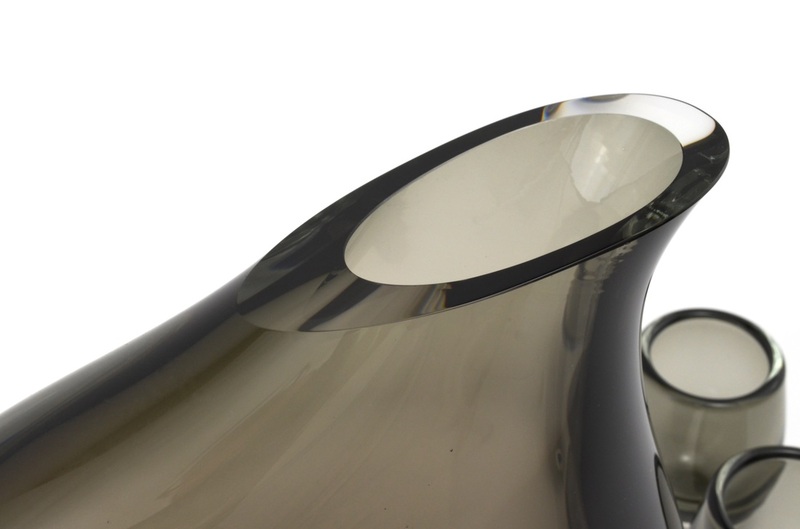 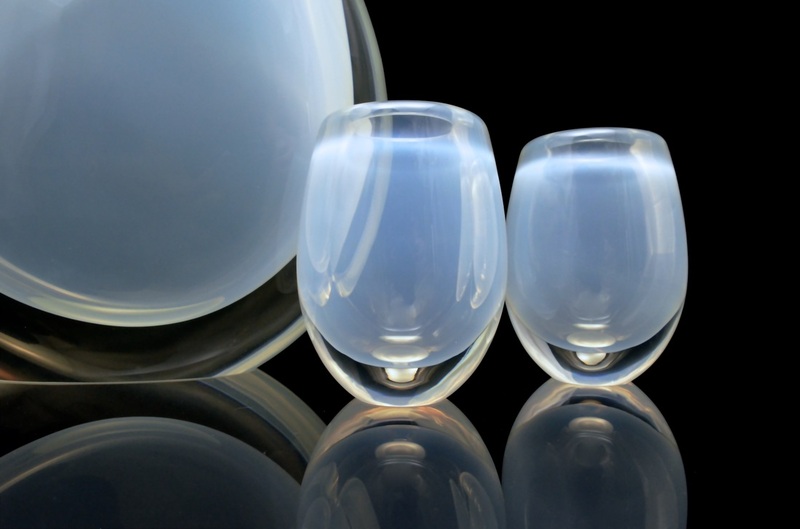 Blown, cut, and polished glass. 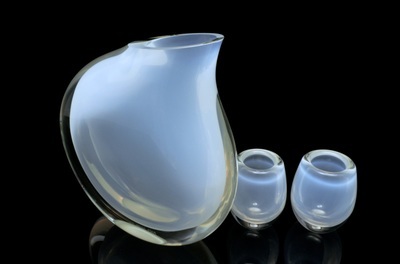 A minimal take on the serving pitcher, these nonfunctional pieces feature a fine layer of colored glass suspended by a thick layer of crystal. 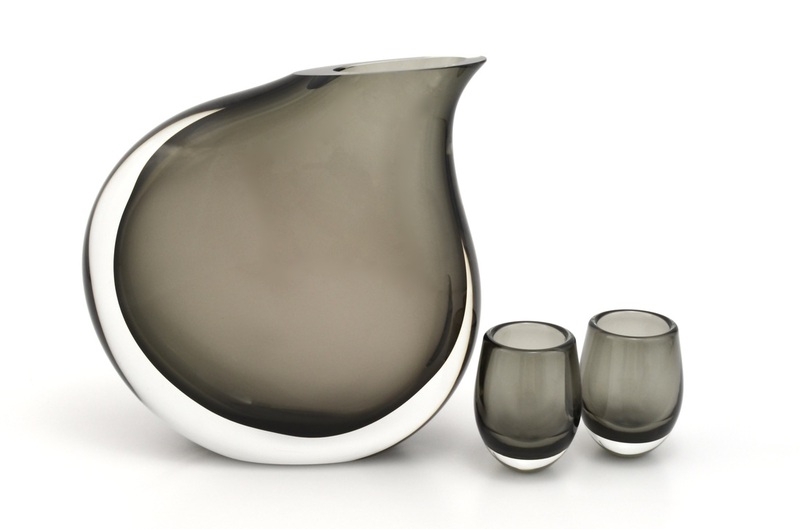 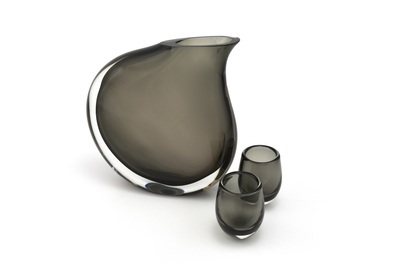 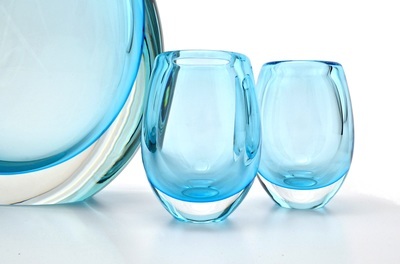 The pitcher is an oblate shape and its mouth is a cut and finely polished facet. 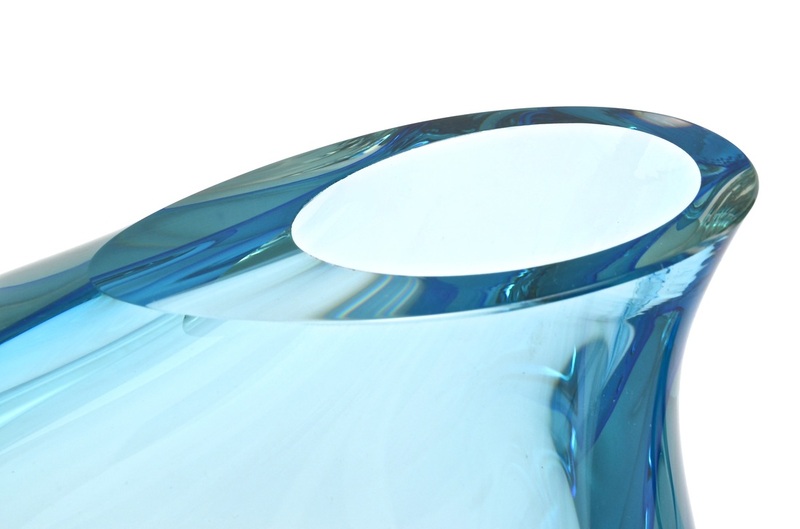 ​Approximately 8.5" high and 3" in diameter. 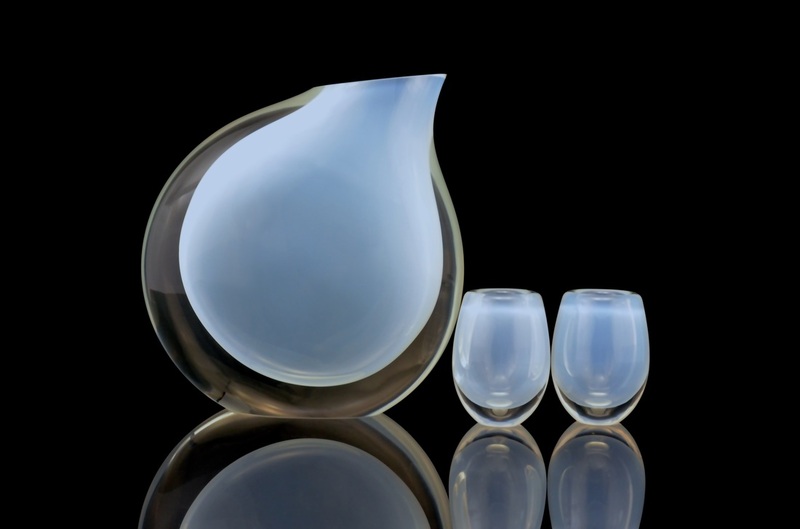 Sold as a set, as shown.